A Van Cortlandt Manor Treasure—on eBay! The first page of Cartwright’s notebook. For the second time in a month we are pleased to have helped the Westchester County Historical Society acquire an important piece of Croton-related history. 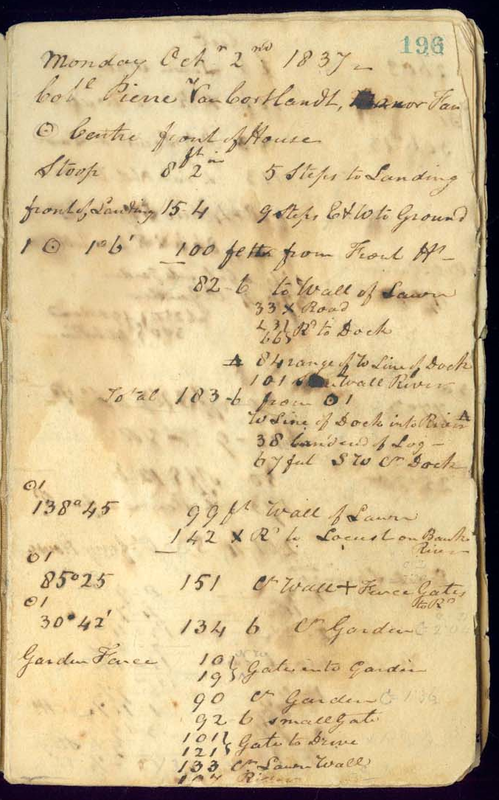 Last month WCHS purchased an 1804 bible owned by Abraham I. Underhill, one of the three Underhill brothers who started the flour mill on the Croton River. 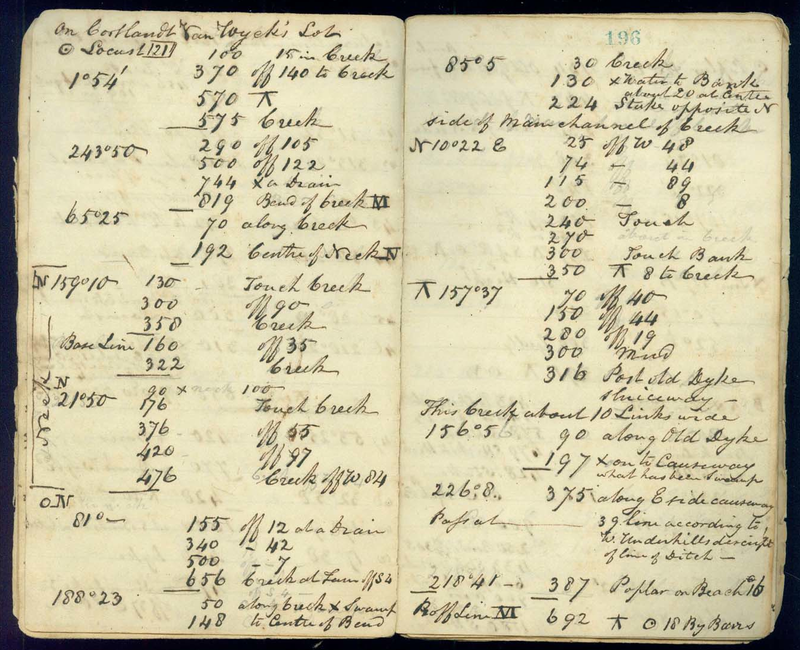 Historic Hudson Valley (the organization which manages Van Cortlandt Manor, Philipsburg Manor, Kykuit and other historic sites) has in its collection a Cartwright survey which we believe was made from these notes. By comparing the notebook and map we may be able to glean new information about the area, which Cartwright called “Van Cortlandt Manor Farm” in the first entry. Detail of the lower Croton River from Cartwright’s survey map, likely based on his 1837–1838 notebook. Van Cortlandt Manor is in the C-shaped area in the top left. The yellow road running diagonally above it is what we know today as South Riverside Avenue. 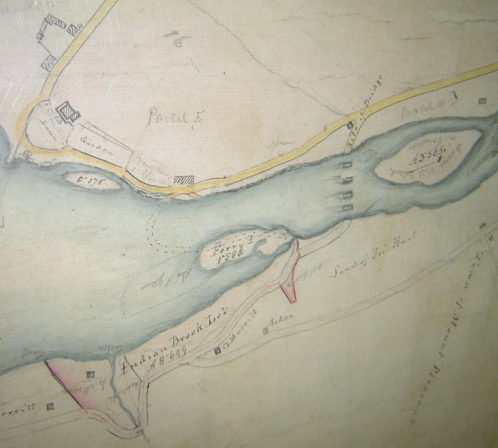 George W. Cartwright was a civil engineer whose maps and surveys are a treasure-trove of information about the Croton and Ossining area in the early to mid 1800s. Records show that he made a map of the “Villages of Sing Sing and Sparta” as early as 1820. In the 1820s he also surveyed and gauged the entire Croton River and his data—particularly his calculation that twenty million gallons of water a day flowed in the river near Pines Bridge—was later used in planning the Croton Aqueduct.2 The Westchester County Clerk Historical Maps collection has several by Cartwright maps online, including this map showing downtown Sing Sing in 1835. Pages recording the survey of the creeks in the marsh on Croton Point—now the capped Westchester County dump. Click the image to enlarge it. We hope to have additional details about this exciting discovery soon. In the meantime, if you missed our previous posts about the Underhill bible, click the links below.